ST. PETERSBURG, Fla. (March 23, 2017) – The Tampa Bay Rowdies announced Thursday that the club has launched a mobile app that is now available on the Apple App and Google Play stores. The club has partnered with SuperFan, a leading fan loyalty and engagement company, to launch a new mobile app that will allow fans to earn points based on events and activities that they attend and ‘check-in’ to. 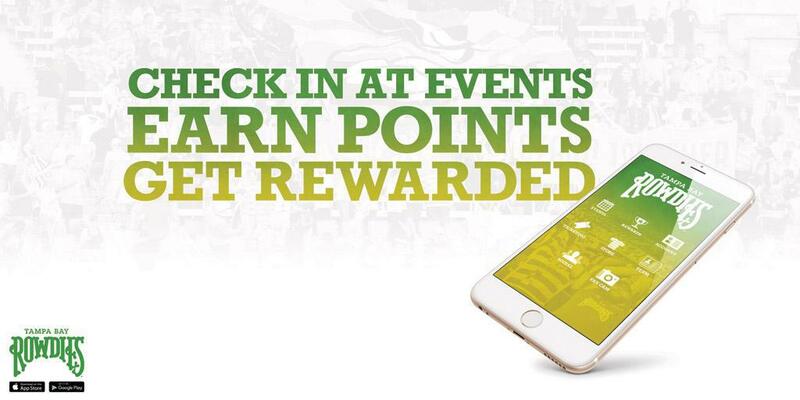 The points can then be used to earn prizes and exclusive experiences from the Tampa Bay Rowdies. The app provides other information for fans including schedules, official roster and an opportunity to share photos through a ‘fan cam.’ Rowdies fans can purchase tickets and club merchandise through the app and stay up-to-date on news by checking out the ‘social’ module. The Tampa Bay Rowdies app can be downloaded for free at either the Apple App Store or Google Play store. Tampa Bay Rowdies selected SuperFan as its loyalty program partner because of its diverse experience with professional teams, colleges, and universities across the country. The company is leading the market in developing innovative platforms that allow the communication and marketing between fans and organizations to be more engaging and efficient.